If you want to be treated to the current state of modern gynecology, you are with us, the gynecologist in the heart of the old town of Munich, right. Like all medical core areas, so does the gynecology with its diverse sub-areas constantly evolving. Thanks to continuous research, the latest findings and ever more precise technologies, we do not stand still for the well-being of our patients. With us you will find everything from general and special gynecology to prenatal diagnostics, care of risk and non-risk pregnancies, obstetrics in the Geisenhof hospital at the English Garden to perinatal medicine and the important area of ​​preventive gynecological care. We offer all areas of gynecological and obstetric medicine at the highest technical and technical level. Added to this is our high personal commitment. Dr. Qattawi also supports many pregnant women 24 hours a day. The luxurious ambience of the gynecological practice Munich Theatinerstraße will pamper you. And because we provide you with the latest diagnostic technology, which receives an update from GE every 4 years, we offer you a pleasant service, so you can feel in good hands with us. 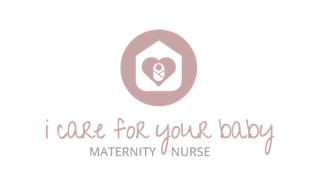 Are you looking for a midwife or have questions about pregnancy? Sie können Ihre Cookie-Einstellung jederzeit hier ändern: Appointment.